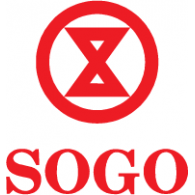 I never would have thought we'd do so well in Sogo. It's only been our first month and the sales report ranked us at the top three selling brand there, in Central Park Sogo. I'm thrilled. My team is thrilled. We all are very happy. It's been a bumpy years for a lot of businesses and to still have a lot of people buying our gowns every week is a wonderful thing. We're very grateful to have survived and thrived in these trying times. There's only two months left in 2015 and we hope to deliver the same great service and products until the end! Why are some links not working here? If you are one of those people who are wondering about that, please allow me to apologise. We're currently still working and upgrading this webbie so that you can have the friendliest experience navigating around. However, the Contact link is perfectly working and you can get us by sending a message. Thank you so much for your kind understanding. Welcome To Peachespinkish Designer's Blog. I'm actually going to use this blog to write about Peachespinkish's journey to becoming, ahem...The No. 1 Dress Company in Indonesia. And when I said journey I mean hardwork. Real hardwork. It's not easy, but 'Shoot The Moon and Land on Stars' right? We started 7 years ago. Back then our brand was named WhiteDoor. I don't know why we end up with that name, because we're neither selling door nor anything all white. As two of our partners decided to focus on other things in their lives and parted ways, we decided to refresh the brand and call it Peachespinkish. I'm responsible for that difficult name. Juni's just the victim. But in my defense, I never thought it was going to go national. If I knew, I'd have gone for something simple. So, anyway here we are now. And the latest big news: Just yesterday we announced on our currently-31K-followers Instagram account (@peachespinkish) that we are no longer taking any Custom Orders and will be focusing on Ready-To-Wear. It's a bittersweet experience as we turn the page to our next endeavour. I'll be missing those consultation sessions and fittings with my customers. But we believe it is the right direction for the company and everyone in it. It's been set since day one we started this business to provide beautiful gowns to as many women as possible and in Indonesia and all over the world. That means we have to produce a lot of designs, and the price has to be friendly. And being entwined in Custom-Made sweet comforting bed will never get us there. So Juni and I finally decided to let it go and pursue our mission. Incidentally after participating in Hong Kong Fashion Week for Fall Winter 2015 we stumble upon a few European buyers and had managed to take it to another level by making our company registered under the name PT. Maha Gaun Indonesia. Yay! Well, I guess that's all the updates for now. Thanks for reading this far down. See you on my next milestones.